What exactly is the Road Accident Fund and who is eligible to make claims? The Road Accident Fund is a pool of money (not the type of pool you swim in although I personally wouldn’t mind swimming in a pool of money – preferably Dollars) which offers compensation to individuals injured in road accidents in South Africa due to the negligence of another driver. Additionally, this fund will also provide assistance to the dependents of those killed in a road accident as a result of negligent driving by another driver. This fund is available even to those without motor insurance to help offset medical expenses and/or loss of time at work. Sounds too good to be true, who pays for this fund? A fuel levy (tax) included in the price of our petrol and diesel acts as the source for this fund. So, for example, on every litre of petrol you full up, you are “donating” to this fund for the benefit of all South-Africans. 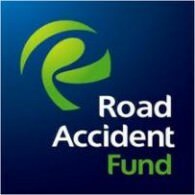 Although we sincerely hope you never need to use this information, in case you do, here is some helpful information regarding how to access the Road Accident Fund. An individual who was physically injured in an accident, including a passenger and/or a pedestrian (but not a driver who solely caused the accident – see exemptions below*). A dependent of an individual killed, assuming the deceased was the primary person to bring in the income. Any close relative of the deceased who helped pay for the funeral. A minor, under the age of 18. In this case, the minor must be assisted by a parent or legal guardian when making a claim. An individual can claim from the Road Accident Fund if he/she was a driver, a passenger, or a pedestrian. A valid claim is only such if the accident was a result of another driver’s negligent driving. As such, if you caused the accident, you are not eligible for assistance from this fund. If you were the only person involved in the accident, you are not entitled to make a claim, unless you borrowed someone’s car and were injured in an accident caused by the owner’s negligence – for example, they didn’t fix the brakes. In order to claim from the Road Accident Fund, the accident must be the result of someone else’s negligence, and you need proof of this. Negligence, in simple words, is the doing of an unreasonable action, an action that a reasonable driver would not have done where he in the same situation. You will need to prove this. What can the money that I claim be used for? Lost earnings if unable to work. Loss of support – Dependents of the main income provider of the household who was killed in an accident as a result of someone else’s negligence can claim loss of support. Partial payment: You can get partial payment if you were partly responsible for the accident. But remember, you cannot claim for any damage to a vehicle or property. This must be done by suing the driver who caused the accident. Sum of damages: There is no limit to the damages you can claim assuming you were not in the car that caused the accident. As a passenger in the car that caused the accident, you can claim up to R25,000. Remember, this fund can only be accessed for the reasons listed above and all expenses need to be related to the accident. The limit of R25,000 also applies to a paying passenger or if your being in the car was work related. An individual can claim from the Road Accident Fund on his own or with the assistance of a lawyer, at the individual’s cost. Additionally, the Fund has officers available to help for no charge at their offices. If you know who caused the accident, you can make the claim within three years of the date of the accident. If you don’t know the driver or owner of the car, you must claim within two. Filing a claim requires the completion of the Road Accident Claim Form. The claim form must be filled out carefully, with the medical report section filled out by the doctor who treated you after the accident. Don’t forget that you also need to sign the claim form. The medical report.Inquest record, if an individual was killed in the accident. The charge sheet from the police. Receipts, vouchers proving hospital/medical expenses. Any documentation supporting amounts claimed. A letter from a doctor stating how much you will have to pay out in the future because of injuries. A sketch of the accident scene. The name of police the station where the accident was reported, police case number and a copy of report. A letter from your employer regarding money lost due to unpaid wages. Written consent for the Fund to be able to examine hospital records. A sworn statement from the claimant (you) and any witnesses (the more witnesses the better as this will help your claim). If you need assistance from a lawyer, see our list of recommended lawyers in our car related business index. As you can see, and despite the sad circumstances, it is fortunate that such a fund exists, especially when so many people in South Africa do not have car insurance from which you can make a claim in the event of an accident. Also, and although we have explained the process to a fair degree, making a claim to the Road Accident Fund isn’t always easy and requires a basic understanding of how things work. Therefore, we suggest that you at least weigh the option of using a lawyer to help you file the claim. Don't have car insurance? Now is the time! Click on the above banner, fill in your details and an agent will get back to you an excellent offer. Not sure which company you want to use yet? See reviews about the various Car Insurance Companies in South Africa.